Veterinary stem cells have been used for over a decade in veterinary medicine. 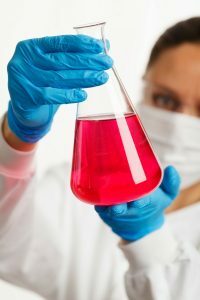 Several veterinary stem cell companies offer stem cell processing services, whereby the veterinarian can send in a sample of tissue (adipose, bone marrow, etc.) and the veterinary stem cell company will process these samples to extract regenerative cells. However, in 2015, the FDA-CVM published a guidance for industry document indicating that veterinary cell based therapies are considered drugs, and therefore are subject to receiving a New Animal Drug Approval before marketing these products. Veterinary cell based therapies that are intended to regenerate tissue and alter the structure and function of the animal will likely be regulated by the Food and Drug Administration – Center for Veterinary Medicine. As such, these veterinary cell based therapies would be considered veterinary drugs. Certain companies have also developed in-house (bedside) equipment which can process autologous tissue to remove regenerative cells or create platelet rich plasma (PRP). These cells then can be administered back into the patient versus having to send the tissue out for processing. In 2015, the FDA-CVM published Guidance for Industry #218, providing guidance for companies and organizations which seek to study and develop veterinary cell based therapies. This document categorized the various forms (formats) by which autologous, allogenic, and xenogenic cells are categorized. Veterinary cell based therapies that are intended to modulate the immune system may be regulated by the United States Department of Agriculture – Animal and Plant Health Inspection Service. Should the product’s primary mode of action be immune modulatory or stimulatory in nature, then by statutory definition these veterinary cell based products could be veterinary biologics and their development will fall under the purview of the United States Department of Agriculture – Center for Veterinary Biologics. For instance, if a veterinary cell based product (macrophage cell line, lymphocyte cell line, CAR-T therapy, etc.) works by stimulating or modulating the adaptive immune response, then by definition this would be considered a veterinary immuno-biologic.